April 15 is synonymous with tax day, until it interferes with the Compensated Emancipation Act, signed by Abraham Lincoln. This holiday is observed annually on April 16. 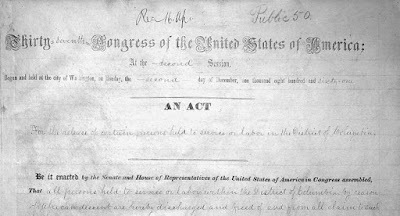 The Washington D. C. Emancipation Day (only observed in the District of Columbia) is a legal holiday in D. C., but affects all Americans when it is celebrated on Tax Day. Yet, it still is fuzzy. Why was tax day moved from Friday April 15 to April 18 when the D. C. holiday is the 16th of April? Well…the practice is the 16 April Washington D. C. Emancipation day is celebrated on the closest weekday. That landed the holiday recognition on the 15 April in 2016 and allowed the D.C. public employees a long weekend to celebrate this historically significant day. Click here to see the tax code for a more confusing explanation. Know that this date change only affects Federal Taxes, not local taxes such as KCMO Individual Earned Tax which was due 15 April (yes, I learned the hard way, and gladly had to donate a late penalty fee toward bettering our city). D. C. slaves were emancipated on 16 April 1862, abolishing slavery 8.5 months prior to the Emancipation Proclamation that was issued 1 Jan 1863. Thanks to the Compensated Emancipation Act, slave and slaveholder information was detailed leaving a money trail to follow for the researcher. 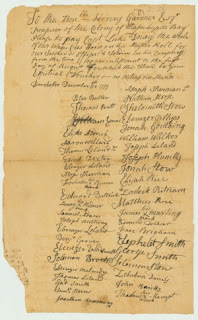 Records on the compensation leads DC slave and slaveholder researchers with useful documentations that most often shares names and ages of emancipated slaves, the names of their parents, and how these slaves were acquired. 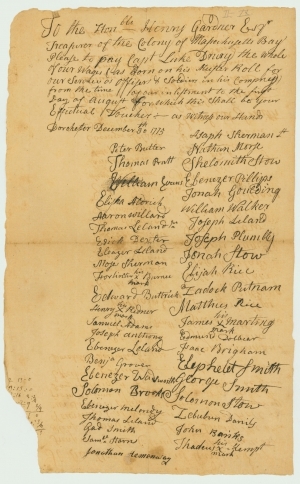 Combining the slaveholder petitions and statements of the emancipated slave paints a larger picture for researchers. 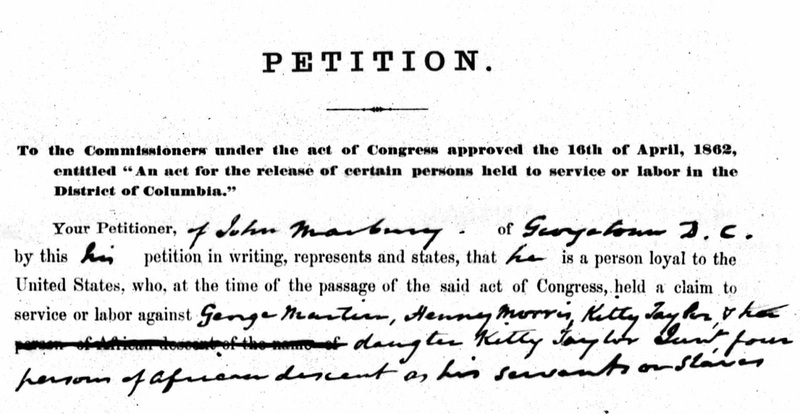 The Washington, D.C. Slave Owner Petitions, 1862-1863 records may also be found on ancestry.com. Be sure to also review the Minutes of Meetings, April 28, 1862 - January 14, 1863 and the summary List of Awards to Slave Owners which have been digitized on ancestry.com for a final amount awarded to the slaveholder and the number of “servants” allowed per slaveholder claim. Researchers will also find digitized Slave Emancipation Records 1851-1863 for Washington, D. C. on ancestry.com. Maine and Massachusetts Holiday Moves Tax Day To 19th April. Because being an American and Tax Day is intertwined, we can’t forget the Revolutionary War patriots and their impact on tax day causing Maine and Massachusetts to have a different tax day in 2016 than the rest of the Union. Maine and Massachusetts traditionally celebrate Patriot’s Day on the 3rd Monday of April, so those tax payers have until Tuesday, 19 April. As expected, the tax code explains why Maine and Massachusetts do not have to file taxes until the 19th of April (note I did not say “pay”, but “file. I’m not an accountant).” Again, see tax code for a complete ‘confusing’ clarification. What is Patriots’ / Patriot’s Day? Patriots Day - a holiday never celebrated in my birth state of Kansas or adopted state of Missouri - commemorates the first battles of the American Revolutionary War - 1775 Battles of Lexington and Concord. From what I can gather, this holiday is most celebrated by the Boston Marathon. I’m sure there’s a link to the Greek Battle of Marathon, but that’s out of my pay grade. Don’t let me misguide you. Patriots’ Day is a HUUGGEE day in New England - even to include the New Hampshire Minute Men. 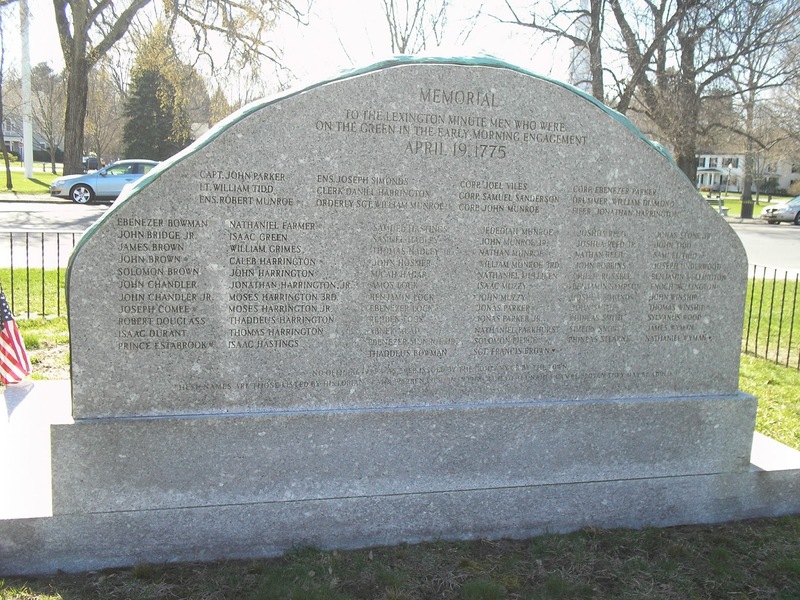 Check out Nutfield Genealogy blog entitled Patriot’s Day! Answering the Lexington Alarm from Hudson, New Hampshire. In this entire region there are reenactments and celebrations of patriotism. In Maine, like Massachusetts, Patriot's Day is an official holiday.“Why Maine?” is the most common question that we get. And with a little understanding it makes sense. A simplified explanation is Maine, a former province of Massachusetts is 30,000 square miles of land carved out of Massachusetts – Massachusetts Bay Colony. Maine gained statehood in 1820 but that stretch of land and its citizens must be remembered for their quick response to serve in the Battles of Lexington and Concord. To show their independence from Massachusetts, Maine celebrates “Patriot’s Day” whereas Massachusetts celebrates Patriots’ Day. 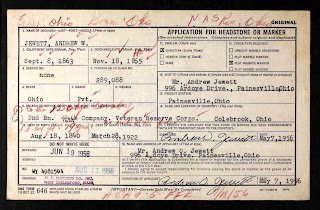 (Please let us know at a3Genealogy if you know the real history of the name distinction). Thanking Your ME, MA Ancestor for Extra Tax Preparation Day? 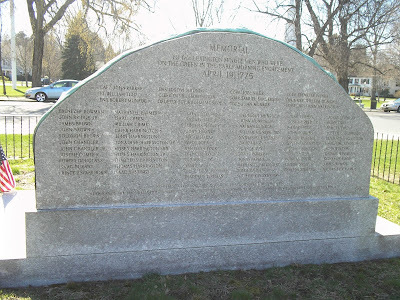 I checked and none of my ancestors were brave enough to join the minutemen of 19 April 1775 (or free to do so). For the rest of the U.S.A. we can pick up this conversation in July, but for now, hoping you are either wrapping up your tax forms or filing an extension! 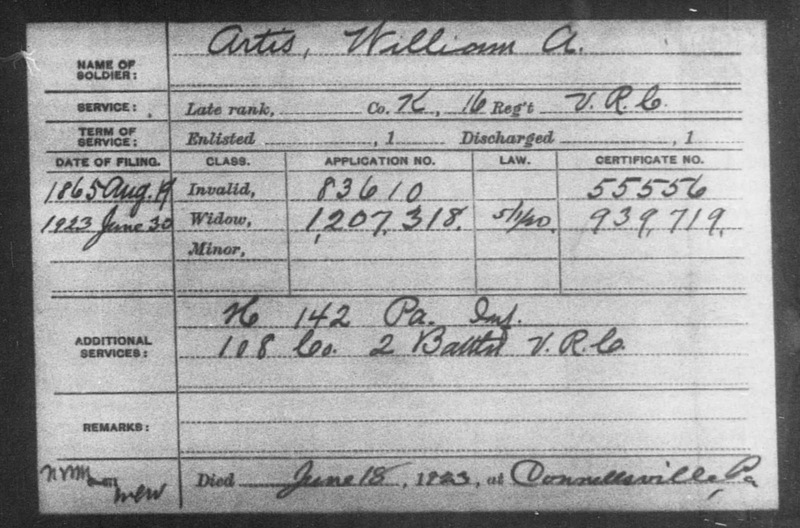 Was Your Ancestor in the Invalid Corps or Veteran Reserve Corps? 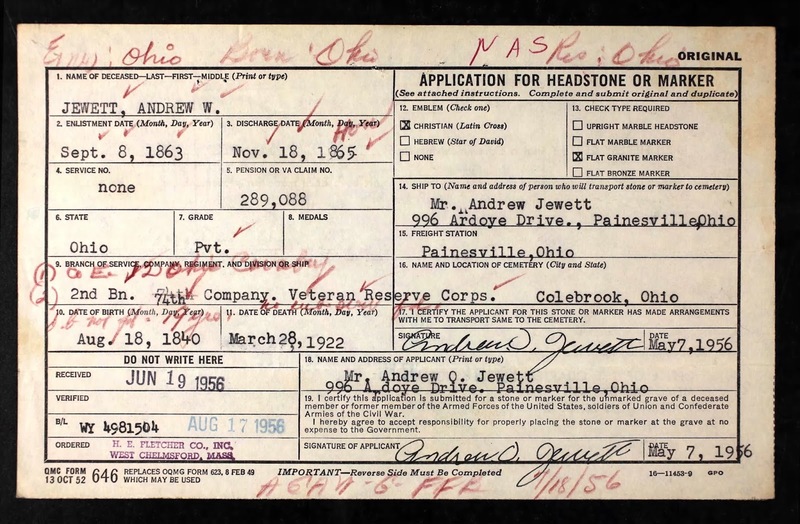 Your Civil War ancestor’s "active duty service" may have been shortened due to a disability, but did his service come to an abrupt halt, or did he transfer to the Invalid Corps or Veteran Reserve Corps? Many veterans were wounded while in the military or contracted a disease in the line of duty, but still wanted to serve and could perform light military duty. 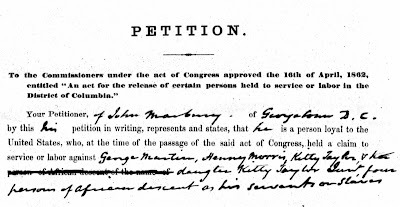 In 1863 the Union Army and Marine Corps officers and soldiers were allowed to be admitted into the Invalid Corps to continue their military service. This was not unique to the Union soldiers. Disabled Confederacy soldiers also served in an Invalid Corps. 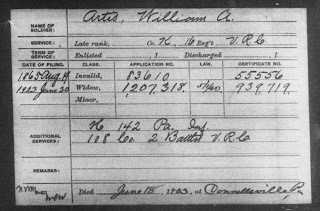 Your Union Civil War veteran may have been one of the 60,000 men who served in the 24 regiments between 1863 - 1866. There were two battalions: 1st battalion was created 23 Feb 1864 - 27 Nov 1865. Visit here for a listing of the 2nd Battalion companies. An Invalid Corps was far from being a new idea. During the Revolutionary War an Invalid Corps was also formed as an alternative to medical discharge. Invalid Corps soldiers who were unable to march or hold a musket were able to be cooks, nurses and guards, etc. They were given unwelcomed distinct uniforms. Mandatory service was required of officers and soldiers who were disabled in the line of duty in order to receive pay. 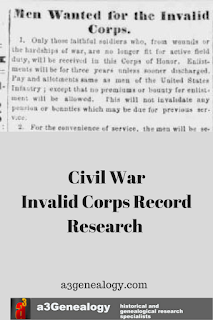 Invalid Corps was renamed as the Veteran Reserve Corps (VRC). A good place to start is with the understanding of the regiments and battalions. Visit Veteran Reserve Corps to narrow your veteran’s possible regiment. Most enlisted close to home. Note: Although hosted on the PA roots website, this website offers a nationwide overview. Congressional Serial Set and National Home for Disabled Volunteer Soldiers may provide additional information of your veteran. 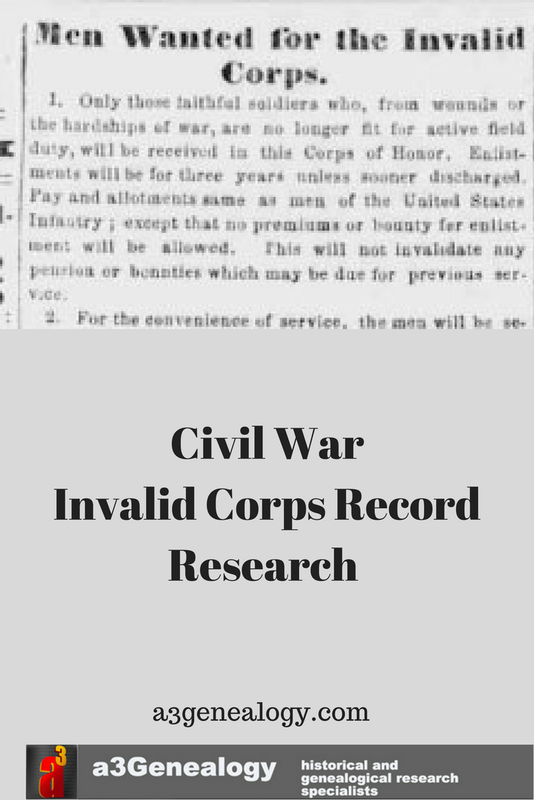 For Veteran Reserve Corps Civil War Pension Records visit Fold3 and peruse the 29,000 plus indices and request originals from National Archives I, Washington, DC.